Promoting operational efficiency and decision making agility, the e-Water solution is designed and developed by a specialist team to promote the applicability of advanced technologies into complex operations of water distribution. Must rely on the intelligence present in every distribution cycle. Must be supported with viable technologies, with proven results. Must be flexible in order to be incorporated into the different areas and processes of the utility. CAS is a pioneer in the proposed paradigm shift in data acquisition of consumption measurement in the water sector. 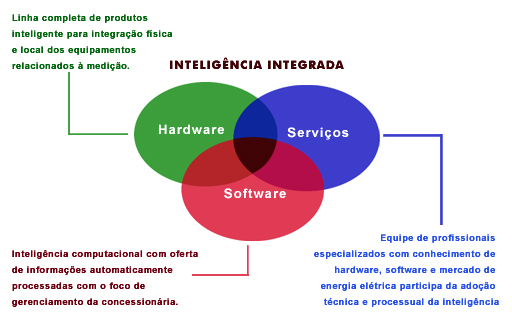 In order to cooperate with the utilities in this scenario, CAS has developed a complete set of services with activities covering different areas of the business cycle. Our goal is to ensure the implementation, administration and maintenance of proper technological infrastructure, allowing utilities to maintain focus on their operations. Telemetry provides accurate and up to date information which, when used in conjunction with intelligent software and a specialized team, leads to extraordinary gains in business. In the application of flow and pressure control valves there could be a saving of more than 41 liters of water per second! The solution deployed by CAS allowed real-time control of water quantity sent every hour of the day. Significant reduction in new breaks and leaks in the network (>80%). 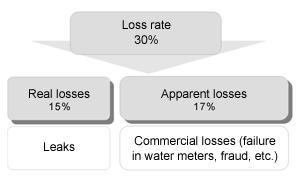 Reduction of real losses by. Better use and distribution of treated wate. Supervision of several critical points for complete management of the water supply. Economy savings of 41.37 liters of water per second!